We all have our favorite holiday foods… But they aren’t always the best for us, right? What if we can get you that traditional flavor with a healthier spin? Christine and Roseanne from Simple Steps are here to help! 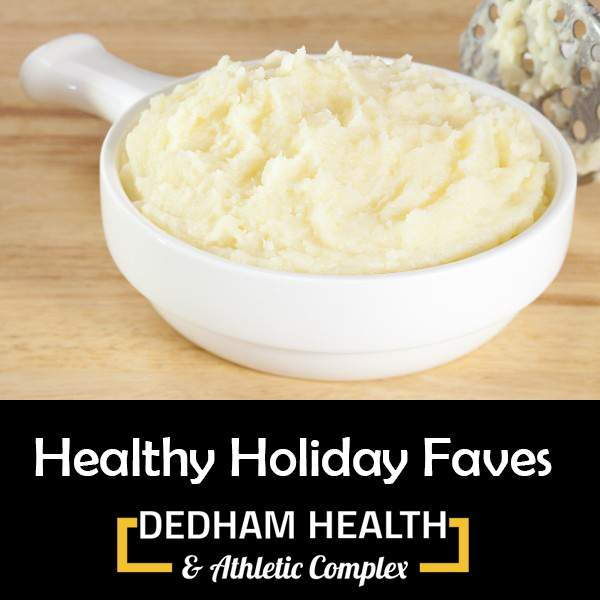 Try this recipe for “miracle mashies”… By adding in cauliflower, you get true mashed potato taste and texture, with fewer calories! Let us know if you try these and what you think! Cook until potatoes and cauliflower are very tender, about 15 – 20 minutes. Drain and transfer cauliflower and potato to a large bowl. Add the rest of the ingredients to the bowl. The days are shorter, the leaves are red and gold, the air is crisp and … Pumpkin spice… It’s everywhere! So tempting to “cheat” on our healthy eating goals and indulge. After all, it’s only for a short time each year, right? What if we told you you could both enjoy your seasonal treat and stay on track? 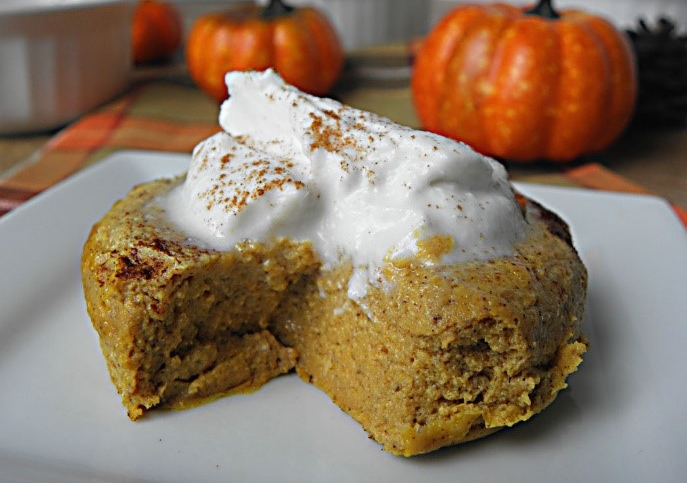 Check out this amazing – and quick – low carb and gluten free recipe for healthy pumpkin pie custard. It takes only 5 minute of prep time and 45 minutes in the oven. Spray 6 ramekins or custard cups with olive oil cooking spray. In a large bowl or stand mixer mix together pumpkin, cream eggs, spices and stevia. Bake for 45-50 minutes or until a knife in center comes out clean. Invert onto a plate or serve from dish. Top with whipped cream! Sprinkle with more nutmeg! Adapted from a recipe by Brenda Bennett | Sugar-Free Mom, by Simple Steps holistic health coaches Christine Emmi and Rosanne Ryder.